Each year, our Oakland Park Animal Hospital staff hears about owners traumatized by the loss of pets that escaped from home. In a quest for a whiff of the great outdoors, these pets slipped through a door or a window screen or were stolen. Pet microchipping from our veterinarian in Oakland Park can make life safer for your pet and reduce potential owner stress. Updated technology has made it easier recently to implant a microchip for dogs and cats. Our doctors can also use pet microchipping in ferrets and other animals to increase your chances of recovering them. Sadly, only 17 percent of missing dogs and 2 percent of their feline friends ever return home after leaving. In a study that followed more than 7,700 animals received at shelters, in excess of 52 percent of microchipped dogs made it back to their owners vs. around 21 percent of those without chips. While fewer than 2 percent of cats without microchips were eventually reunited with their owners, 38 percent of those with chips made it home. Pet microchipping is convenient. Our doctors can perform the procedure in a few minutes during a regular checkup. Unlike collars and tags, which can easily detach from your pet, microchips are permanent and built to last 25 years, beyond the lifespan of a pet. They are one of our most popular services because they represent one of the best chances you can give your pet to be reunited with you should it leave home. Implanting a microchip for dogs or cats is not a painful procedure. The level of discomfort is roughly the same as that associated with administering a vaccine. Using a hypodermic needle, our veterinarian injects a very small glass capsule that houses a microchip under the pet’s skin. The usual placement is between the pet’s shoulder blades. This capsule is about the size of just one grain of rice. Within each microchip is a code similar to barcodes on supermarket merchandise. If your pet reaches a veterinary practice or a shelter, the staff can pass a scanner over it that will read this code, which has registered contact information linked to it. This enables the staff to contact the owner. Owners need to remember to contact the registry for their pet’s microchip whenever they have a change in contact information. Up-to-date tags with owner contact information on a microchipped pet are still useful, particularly for verifying vaccinations. Don’t risk losing your very special pet. 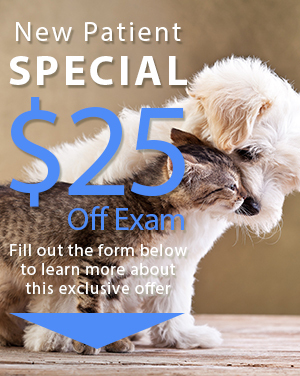 Call our Oakland Park Animal Hospital today at (954) 731-4228 to schedule an appointment with our veterinarian, Dr. Spencer Ratnoff. We provide a full range of veterinary services. 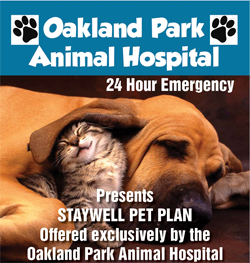 Thanks to our animal emergency trauma center located in the same facility as our hospital, your pet has access to a veterinarian in Oakland Park 24/7.